With the BYOD culture in place it only makes sense that the trend would shift from the business world to universities and other institutions of higher education where students prepare to enter the professional world. 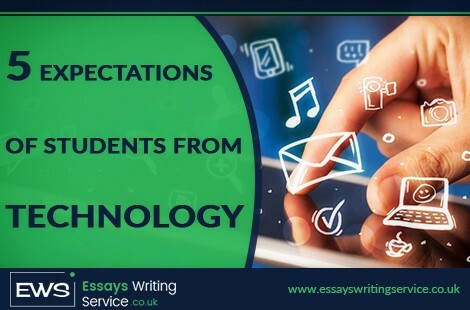 In this case, learning to use their smartphones properly no longer remains just an instinctive reaction on the part of students, it becomes a necessity that students learn to use their smart devices right at this stage so that they do not face problems later on in their future. The reason for that is simple enough. If one goes by the statistics released annually, it will be seen that sales of laptops, but even more so, the sales of desktop computers have been steadily declining over the last decade. The reason is simple enough. People are discovering that a smartphone in hand means easier access to a lot of information as well as the opportunity to stay better connected with their social circle of friends, colleagues and family members. For this reason, universities should also update their mobile strategies to ensure that their students can gain the maximum benefit from the same. Looking at what students want is a great place to start for any educational institutions that is hoping to be able to give students the kind of ease that they are looking for. What is more, it is not only ease of use we are talking about here. Students today have lesser time on their hands and therefore need to work efficiently to get more work done in a shorter space of time. Here are five ways that top students’ wish list as far as their smartphones and academic work goes. Universities can use this as a guide to provide better service to students. Students no longer believe in carrying around a lot of clunky notebooks and diaries to note dates and any other important pointers. A smartphone single-handedly, replaces all of that. A simple app installed on your phone, can help you to stay connected with everything important in life. Most students own more than a single device, and they want to stay connect via all of them. On the part of their alma mater therefore, it must be ensured that the need to facilitate the students by guaranteeing that students are able to receive at-the-moment notifications, across a Cloud-based platform for better connectivity and ease of use, is of utmost importance. An easily installed app or even the systems in-built calendar is usually enough to note when an important date such as an exam is coming up and how long you have to prepare for it. Most students do not read all their mails. Those that look unimportant are likewise ignored. The platforms to really connect with students on are social media… Twitter for events and Facebook for all other communication. Most students also use social media to find out about news updates. It however, needs a lot of time to be able to utilise social media’s capacity to the fullest. With so many essays to complete, students rarely get that kind of time. That is where Essays Writing Service can help you out. Try and see!